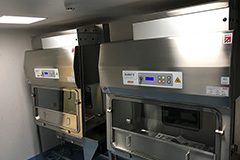 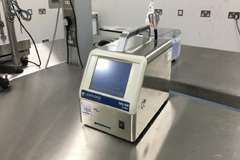 Enbloc was contracted by the RAF to undertake an upgrade to the CM repair facility to meet the acceptable safety standard required by the RAF Centre for Aviation Medicine. 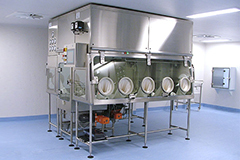 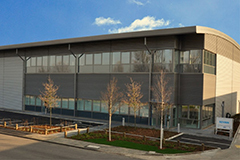 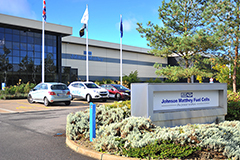 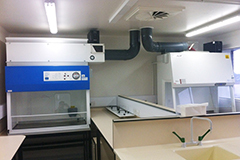 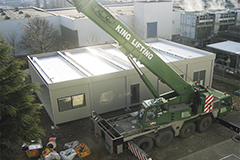 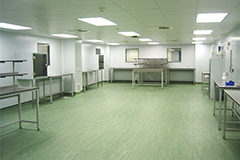 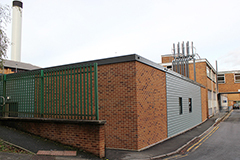 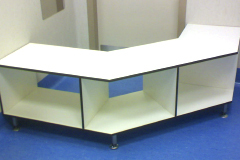 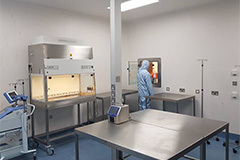 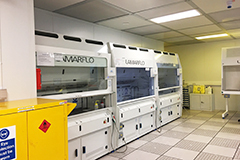 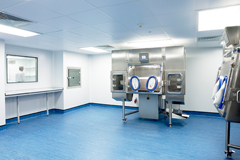 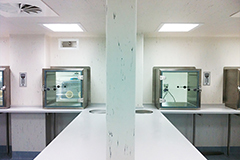 The area was lined with cleanroom panelling creating a change area as well as the main composite room. 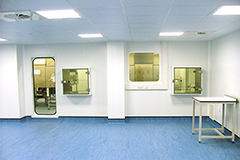 New suspended ceilings were fitted to both areas and floors painted with an epoxy 2 part system, existing vapour proof lighting and electrical sockets were reused and relocated to keep costs down. 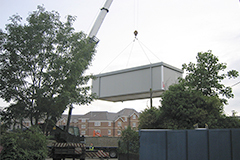 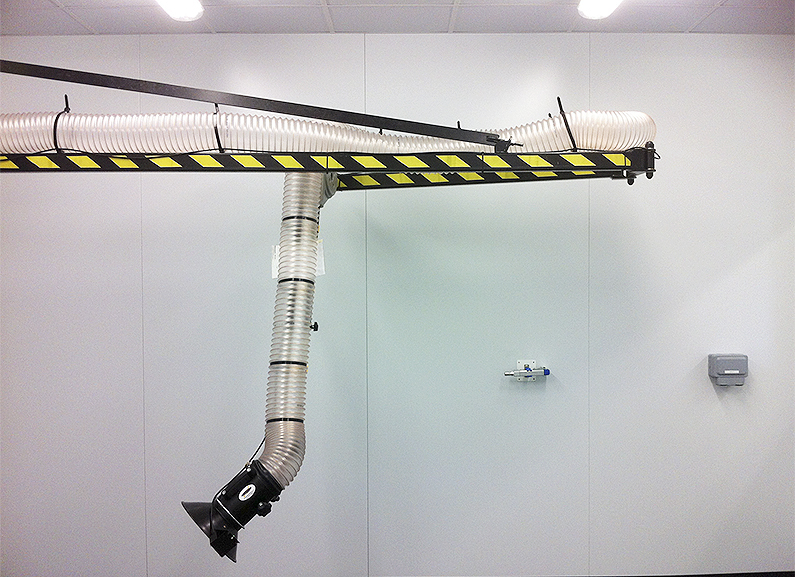 The mechanical element of the project was based around the design supply and installation of a new dedicated LEV system with articulating arm that can reach all areas of the room with filter housing and fan mounted externally. 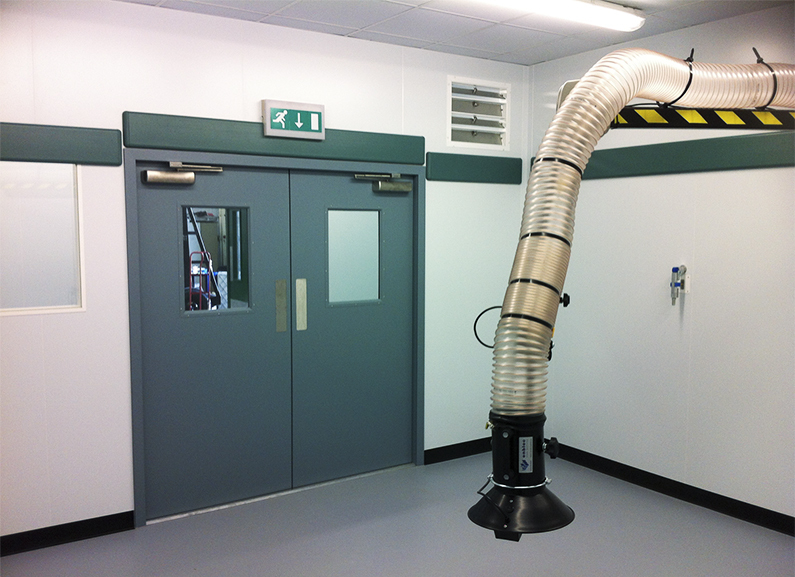 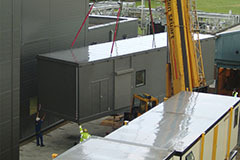 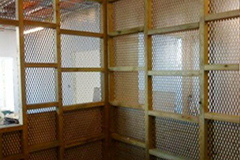 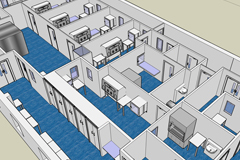 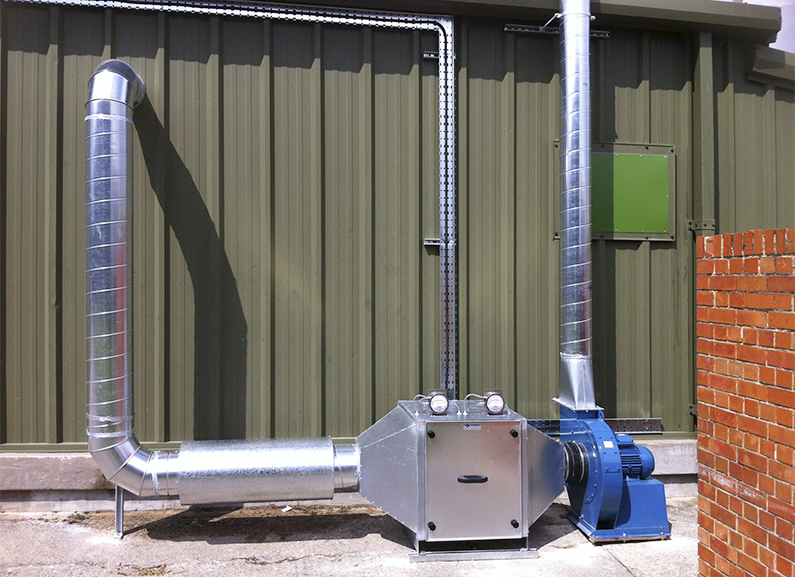 The rooms are designed to run with a negative pressure cascade to prevent carbon dust contaminating surrounding areas.